Gather your team for 'Fire Truck Pull for Autism' - KUAM.com-KUAM News: On Air. Online. On Demand. It all started with a phone call to ACT President Josephine Blas. "He said they wanted to do something for the autism community together (ACT) during autism month and he threw out the fire truck pull and we had to jump on it," she said. "Because we thought it would be an awesome event." 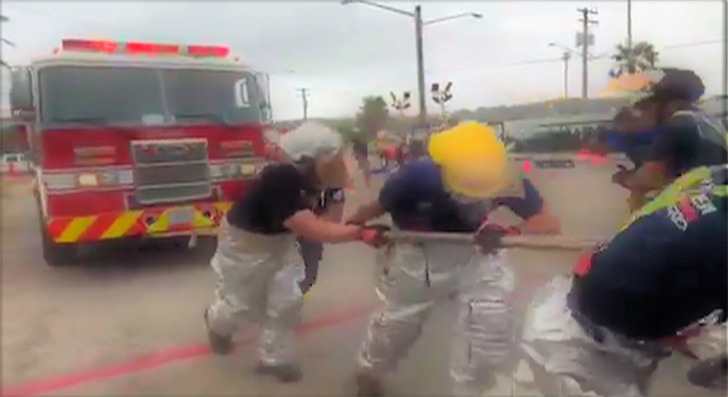 According to Guam Fire Department Spokesperson Kevin Reilly, they are always looking for opportunities to assist the community. "I've known Maj. Josephine for a number of years and I just thought with it being autism month and we can do something great to help these guys," he said. The first Fire Truck Pull for Autism is set to take place on Saturday, April 27 in front of Adelup. The event begins at 4 p.m., with check-in starting at 3 p/m. Cost per team is $300 and includes event Dri-fit T-shirts with 100% of the proceeds go to benefit ACT. "So the teams are going to pull a fully loaded fire truck and ten people per team," Blas explained. "Men's division, women's division, a co-ed division with at least four women and today we decided to open a high school division because we've gotten some inquiries about that." Teams will be pulling the fire truck which is about 40,000 lbs, 50 feet and will be competing for best times. It will be a day for the whole family to enjoy with jumpers, food trucks, and more. "This is a very worthwhile cause. 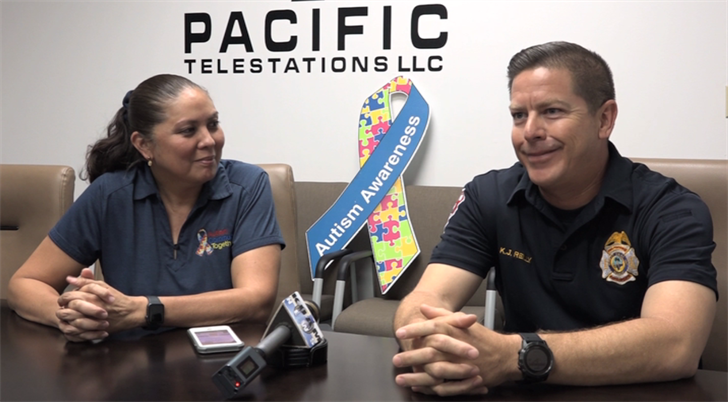 We have some of our members in the fire department who have children that have been diagnosed with autism and it's just a good way to come out and support," Reilly said. "We know the struggle a lot of people don't know that we deal with patients that are autistic at scenes, at car accidents. So we're very familiar and it's something that everybody is on board with." Blas is truly appreciative of all the support from GFD and the entire community. "Autism touches every aspect, if you don't have a child with autism, maybe a grandchild or a niece, or you just know somebody that has a child with autism...over the years, it's just really grown and we want to get the awareness out that hey, we're here and if there's anybody out there that feels alone and has a child with autism, please just give us a call," she said. "We're here to support each other. So we definitely thank the fire department for their support it's just going to be fun to be involved." You can show your support and register your teams now by calling Blas at 687-1284 or e-mail: autismcommunityguam@gmail.com .